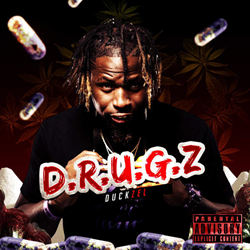 Las Vegas Recording Artist Duckzel Release New Music Video "Drugz"
Coast 2 Coast Mixtapes announces the release of the new music video by Duckzel currently seeking blog placements and interviews. Today Coast 2 Coast Mixtapes announces the release of “Drugz”, the latest music video by Las Vegas recording artist Duckzel. The video can currently be viewed in its entirety at the Coast 2 Coast Mixtapes website. Duckzel is currently seeking press opportunities, interviews, features, and more. He can be reached through his official Twitter page. About Duckzel: Originally from Minneapolis, MN, Duckzel is a recording artist currently based out of Las Vegas, NV. He says always had the flare for music, I wake up to it in the morning and go to sleep with it at night. "I never took being a musician seriously," says Duckzel,"I use to joke around all the time freestyling with the crew while we get drunk and high." That changed the day that he recorded his first song and the response he received from his family and friends. They told him how nice it was and that they never knew he had the talent. "I call myself a musician because so versatile when it comes to songs, I just go where the beat takes me," says Duckzel. He prides himself on stating facts and telling the world his story. He is truly doing this for fun, rather than trying to get rich off of it.. For all the latest music by Duckzel, be sure to visit his official Soundcloud page.